The Oregon Shakespeare Festival commissions "Play On!" and Shakespeare fans go nuts. To truly appreciate Shakespeare, you have to read him in his original Klingon. When David Warner said that line in Star Trek VI: The Undiscovered Country, the audience laughed. Most didn’t know that something like it had been allegedly said by German director Max Reinhardt in 1935. He was directing A Midsummer Night’s Dream, starring James Cagney and Mickey Rooney, and no one alive knows if he was joking. 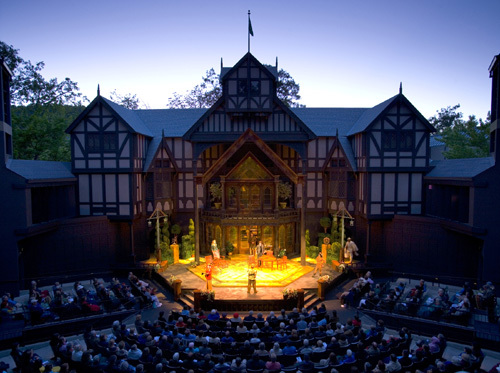 The Oregon Shakespeare Festival in Ashland, Oregon, wasn’t joking this week when they announced “Play On!”, a three-year project in which 39 pairings of playwrights and dramaturgs have been commissioned to “translate” Shakespeare’s plays into modern English for modern sensibilities. (They’re including those not proven to be in the canon — Two Noble Kinsmen and Edward III.) In addition to the OSF press release, you can read the full list of plays and playwrights here. By commissioning diverse playwrights (more than 50 percent women and more than 50 percent writers of color), OSF will bring fresh voices and perspectives to the work of translation. That could be a very good thing. 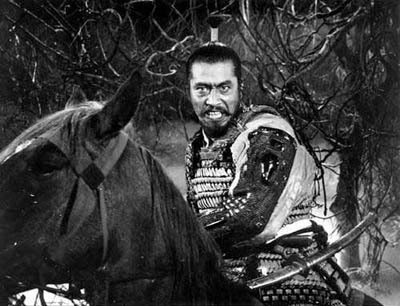 Akira Kurosawa might have agreed with the sentiment when he made his translations of Shakespeare, Throne of Blood (Macbeth) and Ran (King Lear). Though the press release elaborates that where possible, the text will be untouched, this seems more like an awkward presentation of a project aiming at adaptation than translation. And even if it’s not, and ends up being more about “…performable companion pieces for Shakespeare’s original texts in the hope they will be published, read and adapted for stage and used as teaching tools,” this is far from the only time that’s happened. It may be the first time someone has tried it with Edward III. For years, classrooms have been using No Fear Shakespeare, which mirrors pages of Shakespeare’s text with modern paraphrasing. To the chagrin of English teachers everywhere, it’s a safe bet that the paraphrasing was what 90% of the students read. More than one publishing company has tried to reach new audiences with “Manga Shakespeare.” As for that recent series rewriting Shakespeare as a series of tweets? OMG, I can’t even. The point is that artists (and a few hacks) have been doing this for years. The controversy may really be that one of the perceived havens for purists — which, by the way, staged an adaptation of Kurosawa’s adaptation of Hamlet a few seasons back — is officially getting in on it. They still remain committed to the original canon, but are looking to develop 39 new works which may stand as interesting productions of their own. What does this really have to do with a site called Fanboy Planet? Shakespeare is one of the building blocks of fantasy, with plays like A Midsummer Night’s Dream, The Tempest, and The Winter’s Tale. He dabbled in the revenge horror genre with Titus Andronicus. 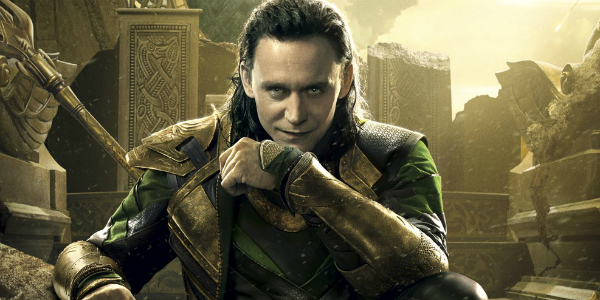 And if the work of Kenneth Branagh on Thor didn’t already sell it to you, Tom Hiddleston’s Loki owes a huge debt to villains like Richard III. Never mind that without Shakespeare inspiring him, we’d never have had Sir Ian McKellen as Magneto and Gandalf. Okay. That one’s a stretch. In that spirit, here are some examples of Shakespeare’s direct effect on genre work, where his plots and occasionally even his dialogue have been crucial to entertainment you may not have even realized was his. Richard III – I’ll include it up top because even though the text is completely Shakespeare’s, Sir Ian McKellen and director Richard Loncraine successfully made it accessible by ratcheting up the stage production and creating an action-filled war movie. It begins with a tense battle strategy meeting in 1930’s England, interrupted by an enemy tank driving right into the room. The driver? The corrupt soon-to-be-King Richard III (McKellen), casual and obnoxious in his delightful dastardliness. Plus McKellen cast Robert Downey, Jr. as the wastrel Lord Rivers, so you can see Magneto face off against Iron Man before either of them dreamed it possible. Forbidden Planet – Maybe the most famous science fiction adaptation of Shakespeare borrows from his “farewell” play, The Tempest. This science fiction classic turns Shakespeare’s magical island of Sycorax to the planet Altair-IV. The exiled sorceror Prospero here becomes Dr. Morbius (Walter Pidgeon), and his supernatural servant Ariel appears as Robbie the Robot. There’s a Caliban, too, in the form of the Id Monster that lashes out when the delicate balance Morbius and his daughter Altaira (Anne Francis) have with the planet is threatened by handsome space marines, led by Leslie Nielsen. Star Trek – The very title of Star Trek VI comes from Shakespeare – no, not Henry VI, but a quote from Hamlet, in a film series very much about heroes getting older and facing their own mortality. Death is “…the undiscovered country, from whose bourne no traveler returns.” Klingons spit Shakespeare quotes right and left, especially Christopher Plummer as Chang. But the connection between the Bard and the Final Frontier goes back to episode 13 of the original series: “The Conscience of the King.” The title comes from Hamlet, and a traveling acting troupe performs Macbeth, but Kirk follows the path of Hamlet, trying to determine if he has enough proof to take action against a sea of troubles. Spock and McCoy divide up the role of Horatio. The Lion King – Disney combined Hamlet with Henry IV and Richard III to make a beloved animated film. The ghost of Mustafa (Hamlet’s Father) spurs Simba (Prince Hal) to return to the Pridelands and take on Scar (Richard III). Timon and Pumbaa fill in the role of Falstaff from Henry IV, Part 1 while also being Rosencrantz and Guildenstern. Think I’m stretching it? The Lion King 1 1/2 even borrows the conceit of playwright Tom Stoppard’s Rosencrantz and Guildenstern Are Dead, in the process being the single best of Disney’s direct to video sequels. Strange Brew – SCTV stars Dave Thomas and Rick Moranis slipped a Shakespearean adaptation by summer movie audiences in this cult classic about their dimwitted Bob and Doug McKenzie getting a job at a brewery and uncovering murder most foul. The first clue is that they go to work at Elsinore Brewery, which is a big castle on a mountain. You expect (and get) plenty of lowbrow humor, which Shakespeare might have appreciated. Though the language is a far cry from Elizabethan England, the story comes right from it. Someone also reminded me that Neil Gaiman used Shakespeare in DC/Vertigo’s The Sandman, so that’s worth mentioning, too. Plenty of genre novels, comics, and short stories have riffed off of Shakespeare — not the least of which was Kill Shakespeare, which come to think of it garnered a lot of outrage when it was announced and turned out to be great. I knew it would all along. We should all keep calm and maybe have a drink. Shakespeare will be just fine.